5. Detailed gameplay:12-15 people in a group of newspapers and tape can be used to create a large closed circle that can accommodate all the members of the team, the members of the team to stand up to the ring on the side of the large ring rolling. 6. Aims of the activity: This game mainly aims at training the students to be united, to cooperate closely, to overcome the difficulties of team spirit; to develop the ability of planning, organization and coordination; to develop the attitude of obeying the command and meticulous work; to enhance mutual trust and understanding among the team members. 1. Game Description: This is a well-known classic outreach project in which each player falls straight back from a 1.6-metre platform while the other team members extend their hands to protect him. Everyone wants to be able to trust others, otherwise they will be insecure. To gain the trust of others, it is necessary to be trustworthy. People who are suspicious of others, it is difficult to gain the trust of the players and build a sense of responsibility in the game. 6. Activity goal: to develop a high level of trust between the groups; to improve the interpersonal communication skills of the group members; to guide the group members to think in place, so that they realize that responsibility and trust are mutual. 1. Game Description: Two teams stand facing each other, put a stick to the ground with their fingers together, and fail when their hands leave the stick. This is an experience that examines whether the team is working together. 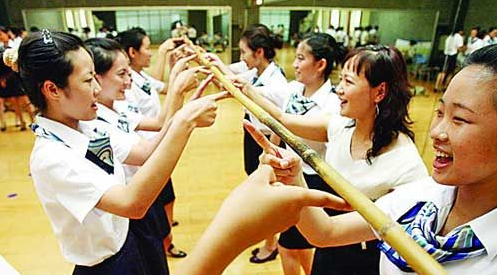 The concentric bars on the fingers of all trainees will complete a seemingly simple but most error-prone project as required by the trainers. This activity provides a profound insight into the problem of coordination and coordination within the enterprise. 6. Purpose of the event: In the team, if difficulties or problems arise, many people will immediately find others shortcomings, but rarely find their own problems.Team members complain, blame, do not understand the harm to the team... This project will tell you: " take care of themselves is the greatest contribution to the team. 4. 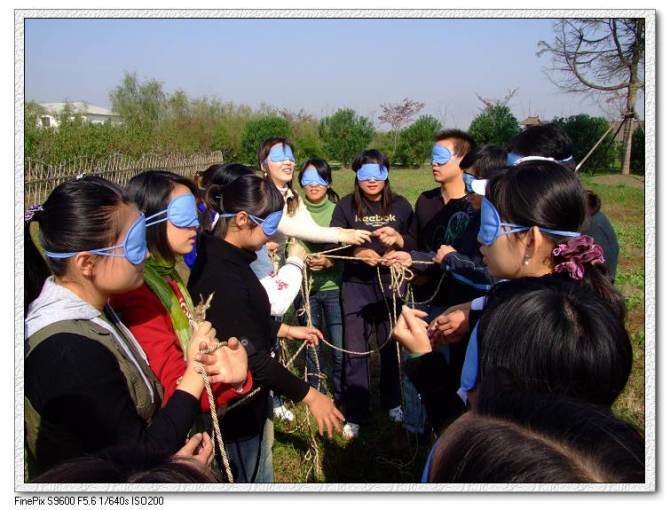 Detailed rules of the game: Let all team members be blindfolded, pull a rope into the largest square in 40 minutes, and all team members are divided on four sides. This project teaches all students how to find their way under the condition of insufficient information. It takes the longest, most chaotic, most anxious time for everyone is before the leader is selected, the program is determined, when the leader is produced, the organization has been organized in order, but the bottom of the students have a lot of the victory has been made. 5. Activity purpose: This task reflects the cooperation and trust between team members, a team with leadership, cooperation, dynamic team can be called a team, the game is mainly to exercise everyone's ability to work together as a team. 1. Game Description: All the players hand in hand to form a net. The players are closely linked at this time, but this time is closely linked to limit everyone's action. What we need is a circle, a link to everyone, can let everyone rolling forward in a unified direction of the circle. Without loosening the hand, this is how to make the network a round challenge? 5. Activity Goal: Exercise communication, execution and leadership in the new team. 4. Detailed rules of the game: a total of seven teams by division. Each team of ten people, five men and five women forks in a horizontal row, adjacent to the legs tied together to run toward the finish line, the shortest time to win. Divide into three groups to play, draw lots to determine the order of the game. 5. Activity purposes: "ten people nine feet" project reflects the cooperation and trust between team members, the game is mainly to exercise everyone's ability to team cooperation and coordination.